Blogs are becoming increasingly popular and this popularity is not just with adults. Young children are also becoming interested in blogging. With the advent of social networking websites such as MySpace blogging is growing in leaps and bounds. Internet users now have a variety of options available to them for publishing and maintaining a blog. Additionally, the growing popularity of blogs currently available promotes an interest in blogging with other Internet users. Children are bombarded on a daily basis with a variety of blogs available online and are understandably interested in creating blogs of their own. In most cases children create blogs for social reasons but there are some savvy children who realize the potential for profit from blogging. While there are a great deal of benefits children can gain from blogging there are also some risks involved. 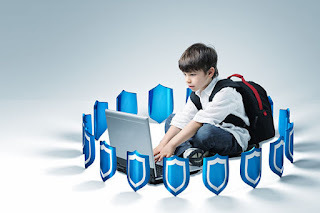 Therefore parents should carefully monitor their child’s blog as well as all of his Internet usage. This article will discuss the subject of monitoring a child’s blog in greater detail. The first step parents should take when a child is interested in creating a blog is to thoroughly discuss the expectations with the child. The child and parent should have an open and honest discussion about responsible use of the Internet. This is important because these conversations can lay the groundwork for how the child will behave online. There are certain dangers which exist on the Internet but parents who understand these dangers and communicate with their children to share this potential for danger as well as information on staying safe while online are likely to have children who stay safe while online. When a child is considering starting a blog, the parent should be involved in the process from the very start. The parent should not only be aware of the child’s intention to begin blogging but should also be aware of the child’s reason for wanting to blog and intentions for the blog. This is important because it can help the parents to set appropriate guidelines for the blog. For example a child may be interested in social networking through a blog but should understand there is the potential for danger with this type of blog. Parents should place limitations on the content of the blog and should advise the children to avoid disclosing personal information such as his full name, address and phone number on the blog. Other information which can be used to identify and locate the child should also be avoided. In addition to discussing blogging with the child and establishing ground rules for the content of the blog, the parents should also regularly visit the blog to ensure the established rules are being followed. Parents should review the blogs of their children on a regular basis but should not inform the children when these reviews will take place. This will help to prevent the children from altering the blog to eliminate questionable material during the review and replacing this material after the review is complete. This is important because it would be rather simple for the child to make changes quickly simply by saving files and replacing them with appropriate blog postings during scheduled reviews. Parents should also consider regularly monitoring the blogs their children frequent. This is important because the information children are viewing online can be harmful to children. It is also important because most blogs provide the opportunity for visitors to communicate with the blogger. In most cases this communication is in the form of comments which are left for the blogger and the blogger may choose to respond to these comments. In some cases the visitor may even have the opportunity to provide personal contact information to the blogger. Parents who remain aware of the blogs their children visit can review these blogs carefully to ensure their children are not behaving inappropriately online and are not inadvertently putting themselves at risk with the actions they take.